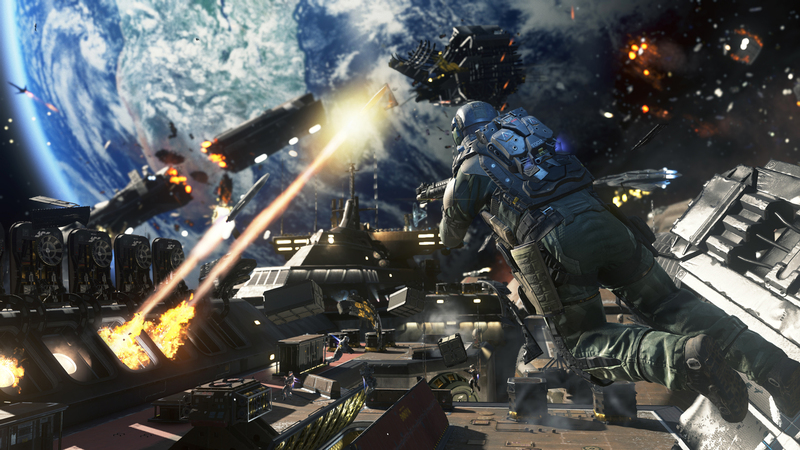 This year, Infinity Ward takes the series to the stars, but ends up treading familiar ground. 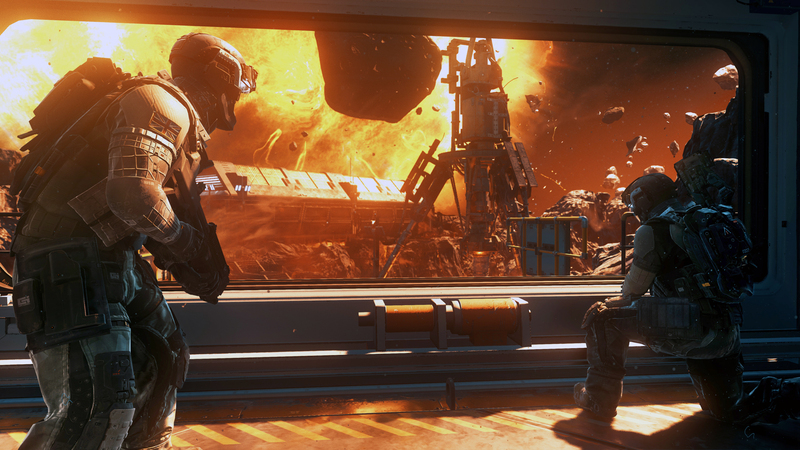 Call of Duty: Infinite Warfare's campaign certainly starts off with a bang. You're literally dropped in at the deep end as you and two squad-mates fall from orbit HALO-style to participate in a covert mission on Jupiter's icy moon, Europa. Within moments of landing – assuming you're paying attention and follow the on-screen prompt to activate your jets and arrest your descent before you hit the deck – you're embroiled in a firefight with a small army of enemy soldiers. It's intense and dizzying, giving you no time to get your bearings, let alone figure out who you are, and what you're actually doing. Just as you begin to gain the upper hand, a war mech bursts through the doors of the hangar you're occupying, and the game prompts you that bullets won't damage it. The situation looks hopeless until additional prompts point you towards some powerful energy weapons that are lying nearby. After grabbing one, you can let rip to slowly tear the rampaging 'bot limb from limb. The action doesn't let up with the destruction of said mech, however. A further set of doors open, revealing a squad of these deadly machines. Fortunately, another prompt comes to your rescue, guiding you to the control panel of the machinery that you're trying to secure. It's actually a weapon that you can activate to blow the advancing mechs to smithereens, and doing so brings the level's action to a close. All that remains is to watch a cut scene that introduces Infinite Warfare's arch-villain, and ends with the brutal termination of you and your team. Subtle it most certainly isn't. But then I was hardly expecting anything else from a series that has consistently tried to one-up itself year after year pretty much since its inception – with mixed results, it must be said. 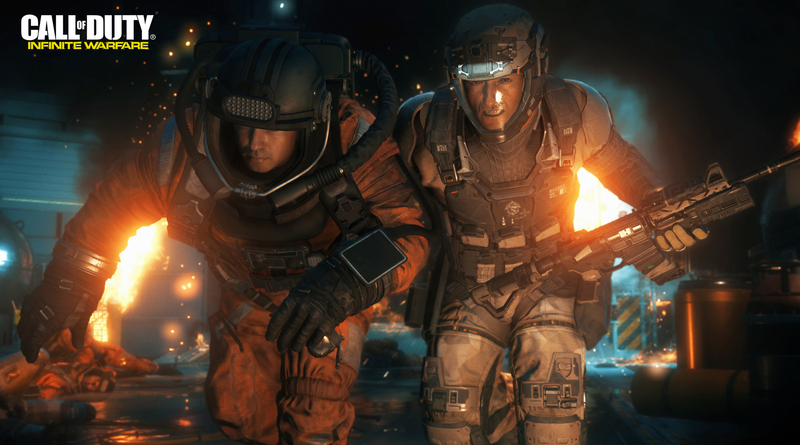 This time out, Call of Duty heads for the stars in a sci-fi blockbuster that looks absolutely stunning. The quality of the motion capture is outstanding; the subtle nuances of the actors' expressions are plain to see, and under certain lightning they look photo-realistic. The backdrops are of similar quality – richly detailed and sometimes spectacular, comprising amazing sets and vistas that few other games can rival. Following its breakneck prologue, the game settles into a series of cinematics and interactive cut scenes that give you a chance to catch your breath as the protagonists are introduced, context is given, and the premise is established. This is a future in which much of the solar system has been colonized, but where the hard-living off-worlders essentially serve the prosperous residents of Earth through the mining of resources. This has given rise to much resentment, and resulted in the formation of the Settlement Defense Front, a colonist army led by militant Rear Admiral Salen Kotch. They don't just want freedom from Earth's rule; they want to subjugate it. To that end, the SDF launches a surprise attack on Earth's United Nations Space Alliance as its ships maneuver above Geneva in celebration of fleet week. In what feels like shades of Battlestar Galactica, only a few UNSA ships survive the attack, one of which is the Retribution, which you command as protagonist Captain Nick Reyes. War is declared, you're put front and center in the action, and the Retribution's bridge essentially becomes the main hub from which you launch a series of main and side missions against the SDF forces. Having a persistent base of operations is a nice idea: It's populated with a cast of characters that accompany you on different missions, and you eventually get to know as they're fleshed out in the game's many expository scenes. This helps give them a little depth and dimension, and adds much-needed human interest to the otherwise rather simplistic plot, which follows the actions of the Retribution's crew as they fight back against overwhelming odds. Missions start out with a trip to the armory, where you get to choose your loadout from a cache of the usual suspects: Assault and sniper rifles, shotguns, SMGs, LMGs, and sidearms. It's a surprisingly contemporary-feeling selection of weapons that offers little in the way of innovation or experimentation. Once you've picked your poison, the mission begins proper, either with a dropship taking you to a target location to begin an assault on a position, or you jumping into the cockpit of your Jackal spacecraft to take to the heavens. 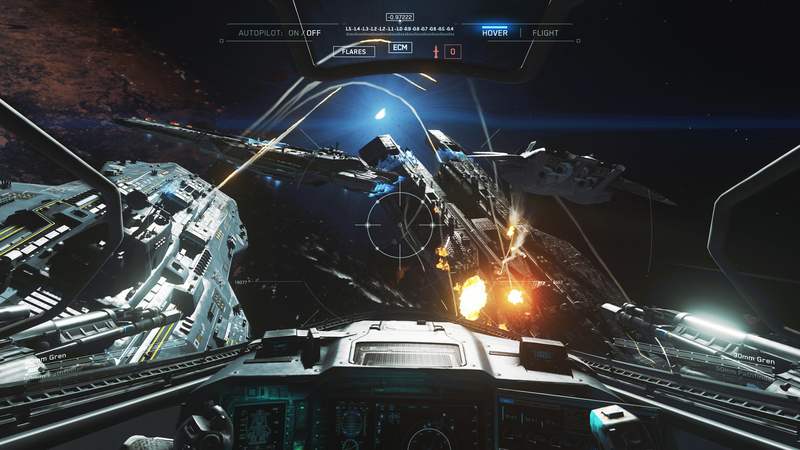 The latter kicks off one of the game's many flight combat sequences, where you fight through space thick with capital ship artillery, wreckage, and a myriad of SDF craft. While these battles look and sound absolutely epic, they're actually very straightforward to play – largely an exercise in swinging your ship around to lock onto enemy craft so you can shoot them down, and firing off flares when you're prompted, so you can avoid getting hit by incoming missiles. What I feel is missing is a sense of speed and exhilaration derived from chasing your quarry as you dogfight through the busy skies. Instead, it feels more like you're piloting a mobile gun platform, picking off enemy ships one at a time with relative ease. It just becomes a little rote after a while, especially since the fight combat sequences are all fundamentally very similar. Infinite Warfare's traditional missions are a lot more exciting, however. Like the weapons selection, there's nothing particularly inventive or new about them, but they're nevertheless finely crafted to be varied, intense, and gripping. There are good old-fashioned gunfights along city streets, battles on spinning asteroids, firefights through the confines of capital ships, large-scale assaults on installations, and even a few zero gravity sequences that offer their own unique set of tactical challenges. All are interspersed with scripted moments that help keep the action feeling explosive and surprising over its nine-or-so hours running time (assuming you complete the main and side missions). If I have any criticisms, it's that many of the levels feel too much like point-to-point corridors that you're being funneled along. There are few areas where it really feels like you have room to maneuver, and for the most part you're shooting at enemies directly ahead of you. There are also occasions where the sheer volume of enemies that are thrown at you result in certain set pieces feeling somewhat relentless. It just makes the action drag a little in places. 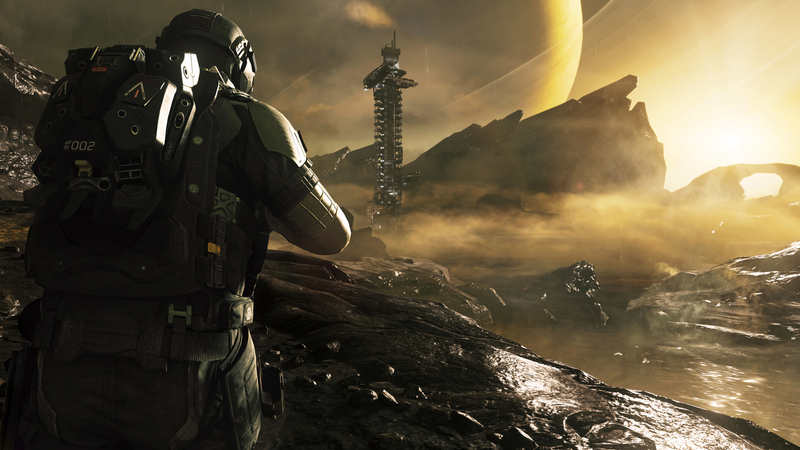 Other than that, though, Call of Duty: Infinite Warfare's campaign works well. Much of its finely-honed gameplay treads familiar ground, but there's enough new flash and sizzle to make things interesting, even if not all of it works brilliantly. Its story is simple, and its pacing occasionally uneven, but it's full of memorable moments, and packs some strong characters that are genuinely likeable. Combine all that together, and you have a safe, but compelling campaign that's the series' best in years. 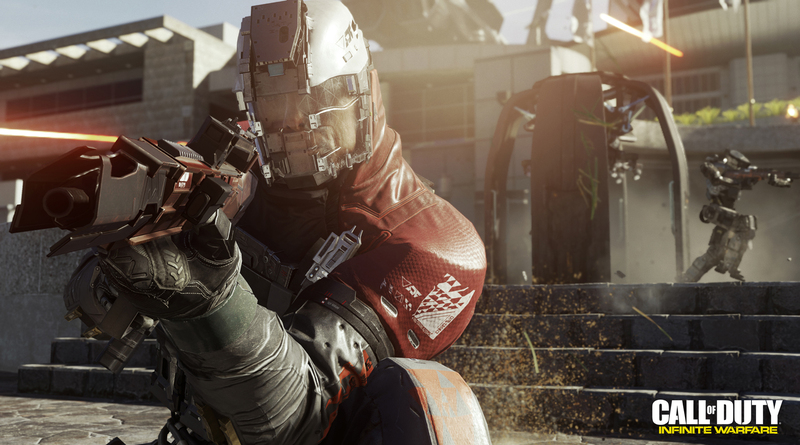 Call of Duty: Infinite Warfare's multiplayer feels intense and relentless. This perception might have something to do with me sinking an enormous amount of time into Titanfall 2's multiplayer as of late. The game's big maps give you time to breathe, and space to maneuver without constantly running into enemy combatants. Not so Infinite Warfare. Its comparatively far smaller arenas concentrate the action so that engagements come thick and fast, and if you're not constantly 100% focused on what's going on, you're going to be mowed down in short order – repeatedly. Time to kill remains brutally rapid, and most encounters are resolved in the blink of an eye, and sometimes before you even have a chance to react. This is a high-skill game that doesn't suffer fools gladly. After also playing a lot of Overwatch this year, it's taken me a fair amount of time to re-adjust to the sheer speed of Infinite Warfare, but following a solid weekend of play, I've gotten used to the cadence of the action and have started to enjoy myself. That said, I'm not having quite as much fun with it as I had with last year's Black Ops 3. A lot of this has to do with the fact that Infinite Warfare's multiplayer component just doesn't offer anything particularly new or innovative in terms of its fundamental gameplay. The Call of Duty series is well known for being fairly conservative in regards to the way that it incrementally upgrades its multiplayer gameplay year after year, but this time out it just feels even more so than usual. This year's headline feature is Combat Rigs, a sextet of futuristic suits of armor that imbue the player with a payload and trait that are each chosen from a pool of three options. Payloads are on a timer, and take the form of a limited-use weapon, or an item that provides a temporary effect, such as dramatically speeding up your character, rendering you invisible, or temporarily shifting you into another dimension so that you can avoid incoming enemy fire. Traits are permanent effects that give your character an edge, such as a faster-recharging jetpack, spawning with a shield on your back that grants immunity from melee attacks from the rear, or being able to execute a faster, longer slide. Each Rig and its effects are designed to augment a specific kind of playstyle. For snipers, there's the Phantom, whose abilities are centered on long-range engagement. 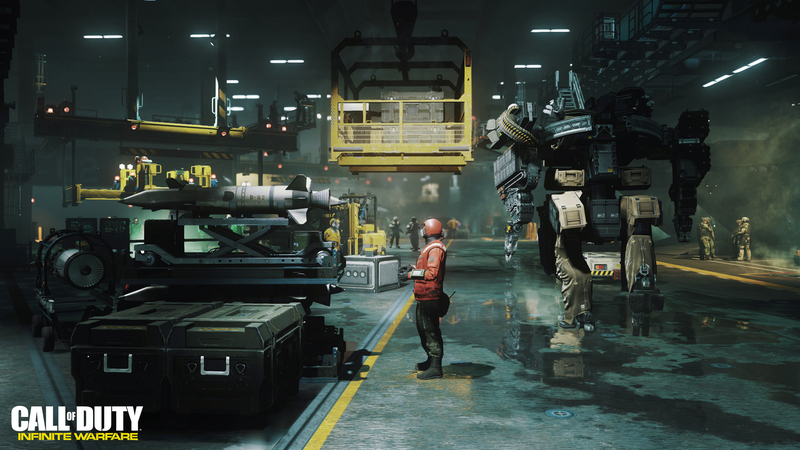 The Merc is all about defense and suppression, and is the closest thing that Infinite Warfare offers to a tank, while the Warfighter is an all-rounder, with an interesting mix of payloads and traits that offer very specific character enhancements. Those who favor fast engagement and close-quarters combat will likely enjoy playing the Synaptic, which offers a variety of speed and movement upgrades, while the Stryker is more suited for area of denial and squad support. Lastly, there's the FTL, a Rig built for "guerilla" style play that includes avoidance and situational awareness. Combined with the game's traditional Pick-10 system, Combat Rigs basically enable you to endlessly fettle and tweak your playstyle to suit a wide variety of combat scenarios and tactical situations. It adds subtlety and depth to the way you choose to play the game, but it's a very technical addition, and lacks the character that last year's specialists had. That's not necessarily a complaint, but more a nod to the fact that Infinite Warfare's Combat Rigs feel more like they're geared towards high-end play, rather than being designed to make the game feel any more accessible and fun. 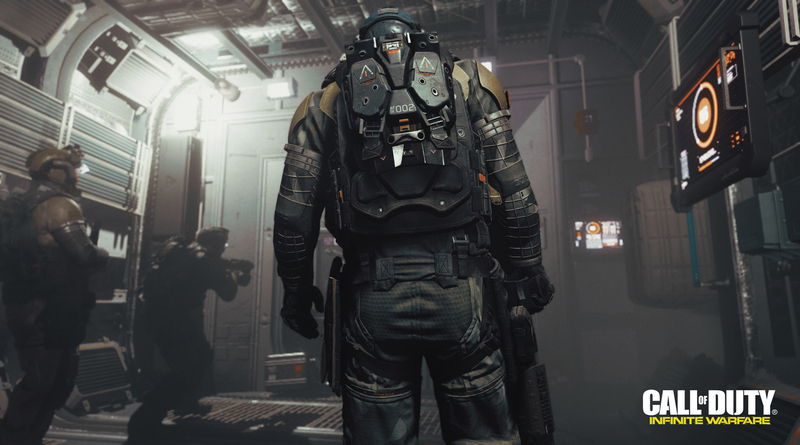 Infinite Warfare's chained movement system is neither evolutionary nor revolutionary – because very little has changed from Black Ops 3. Like its predecessor, it's intuitive, smooth, and fluid, allowing you to wall-run, thrust-jump, and knee slide your way around the environment in quite spectacular fashion, while having your gun available for use most of the time. It makes for a very dynamic-feeling game that's fairly easy to get to grips with, but has a high ceiling for mastery, enabling the highly skilled to pull off some quite incredible maneuvers. To that end, Infinite Warfare's varied and interesting baker's dozen of maps provide an excellent set of playgrounds where your parkour-like skills can be applied. The game's sci-fi setting has let the designers create some stunning-looking locations, including a robot factory, mining installation, icy moon base, city streets, a shipyard, and a crashed capital ship. While most are built around the three-lane structure that governs the traditional Call of Duty map design, they're cleverly crafted not to feel formulaic. From tight, maze-like interiors through multi-storey levels that offer opportunity for verticality to open spaces with a multitude of entry points, the game's environments present a broad range of engagement opportunities to challenge your skills and test your Combat Rig and loadout preferences. The list of gameplay modes offers a selection of the usual favorites, and just one new one – Defender. It feels a little like playing Uplink, but without any goals: Players fight over a drone that spawns in the middle of the map, which you have to hold to score points for your team. It's a straightforward game that concentrates the action around a central point – the person holding the drone – and that gives rise to some pretty frantic gun battles. Speaking of guns, Infinite Warfare features an exotic-looking, but fairly familiar-functioning cache of stock weapons that can be leveled up and modified with a wide variety of attachments. However, there's a large array of more desirable prototype firearms with powerful in-built perks that are available through three different means. Salvage is a new currency that you slowly earn over time that can be spent to "craft" a weapon of your choice, starting with a common one, and then upgrading it through rare and legendary tiers until it's epic. Alternately, you can unlock a selection of prototype weapons by completing new Mission Teams objectives – bonus challenges that are given at the start of every multiplayer game. Finally, there's the somewhat controversial Supply Drops. These can be purchased with the keys you earn from playing – or with real cash. There's definitely a whiff of pay-to-win here, but Supply Drops must be a popular addition to the game, otherwise they wouldn't be back. Ultimately, this year's Call of Duty multiplayer offering ticks all the right boxes – its audio-visuals are brilliant, and its gameplay is beautifully honed – but it's just all too familiar, feeling like a retread of Black Ops 3 with a thin veneer of new features layered over the top. As someone who invests a lot of time into the series every year, I'm left feeling disappointed. Sure, I'll play the game and have fun while doing so, but I'm just not as excited and enthused about it as I was with Black Ops 3 – and I don't see it holding my attention for anywhere near as long, either. Not with Overwatch, Battlefield 1, and Titanfall 2 all offering different and more interesting experiences to tempt me away. Completing Call of Duty: Infinite Warfare's trio of gameplay modes is Zombies in Spaceland, which this year puts a humorous, campy spin on the undead-slaughtering proceedings by taking players back to the 80s. Set in an abandoned theme park, and featuring a quartet of stereotypical period characters – a rapper, jock, nerd, and cheerleader – up to four players take on waves of zombies in a bid to survive as long as possible. It's very much a game of escalation. Starting out with just a basic pistol in the game's fairly confined opening area, you earn cash by taking out the advancing walkers – bedecked in a variety of lurid 80s fashions – as they stagger towards you. Money buys you better weapons and ammo, and also enables you to open up new areas of the park, where a selection of interactive rides and attractions await. However, to activate them all, you need to find and turn on five different power generators that are dotted around the park – an objective that gets ever more difficult as the enemy becomes increasingly tougher, faster, and more numerous. Helping add a little strategy to the action are Fate and Fortune cards, permanent additions to your armory that can be selected and used during a battle to activate special effects and abilities, such as regenerating your health faster, making rifle shots always do critical damage, and increasing your headshot damage for a minute. The game starts you out with five of these, and additional ones are earned by leveling up and buying Zombie Crates, allowing you to customize your Fate and Fortune loadout to best suit your playstyle. Other new and returning features include special weapons to unlock, team-oriented ATM Banks, Magic Wheels (aka Mystery Boxes) that let you gamble cash to potentially win powerful upgraded guns, and, according to the developers, a host of Easter eggs to find. Nothing is particularly innovative or surprising, but it all works well to add depth to the largely familiar gameplay. To be blunt, I haven't been much of a Zombies mode fan in the past, but this year's effort definitely has something about it that makes it a little more appealing than usual. It features a stellar soundtrack of 80s hits, and an impressive voice cast of Ike Barinholtz, Paul Ruebens, David Hasselhoff, Seth Green, Jay Pharoah, and Sasheer Zamata, whose entertaining dialog helps keep the tone lighthearted and genuinely amusing in places. Sure, you're ultimately gunning down relentless waves of zombies, but when the action is paired with the likes of Soft Cell, REM, and Twisted Sister, it creates a rather zany and upbeat atmosphere that's a nice change from the usual dark and sinister fare. Call of Duty: Infinite Warfare is a very solid package of three individual games that are high on production values, and low on innovation. This year, the standout features are really the settings. Zombies in Spaceland's 80s theme park premise adds a nice element of campy humor to the undead-slaying action, and Infinite Warfare's off-world campaign and multiplayer modes provide some spectacular vistas and scenes through which to battle. However, beneath those very impressive presentation layers lie a trio of games that are very predictable in terms of their design and game mechanics. Sure, they're challenging and enjoyable, but they don't fundamentally offer anything we haven't already played before. 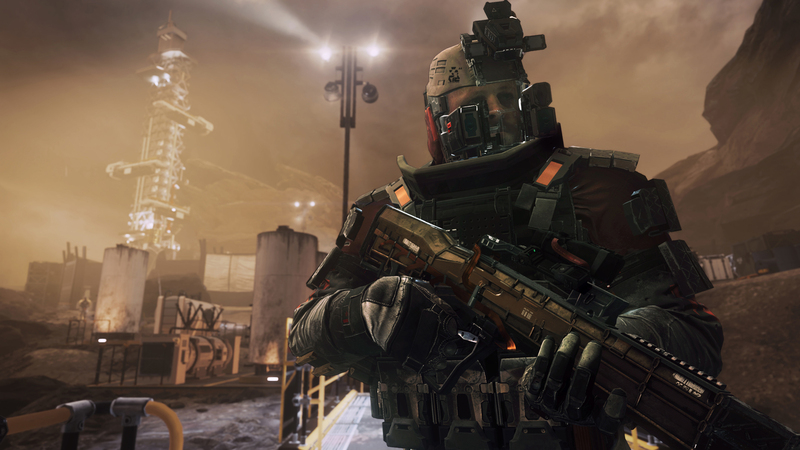 Call of Duty: Infinite Warfare comprises a trio of game modes that are all very well produced and enjoyable to play through – but largely tread familiar ground in terms of their design. The spectacular-looking, well-written campaign packs strong characters and plenty of over-the-top moments, while Zombies in Spaceland is an enjoyable shoot 'em up romp that's best played with a team. The multiplayer mode is perhaps the game's weakest element. It's slick and polished, but feels a little too much like a remix of Black Ops 3. Tagged with PC,	PlayStation 4,	Reviews,	reviews,	Xbone. The remastered Modern Warfare is finally getting a standalone release. 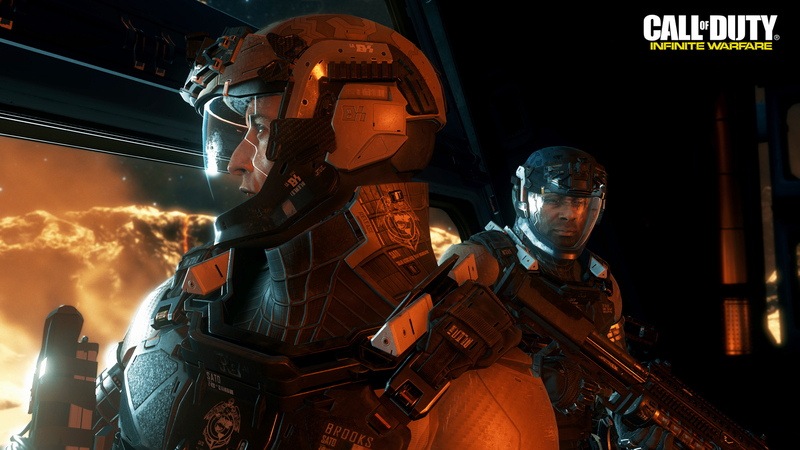 What Next for the Call of Duty Series?